Metal Wire Displays powered by The MRL Group produce a variety of self supported A-Frames and sidewalk displays to draw the customer’s attention to your business. A-frames and sidewalk displays effectively convey messages to potential customers about events, sales, new products, and drink specials. A-frames and sidewalk chalkboard signs are extremely useful in promoting your business and increasing sales. Our A-frames and sidewalk signs can be manufactured to meet any size, design, or material. A-Frames and sidewalk displays can be made into dry erase boards or chalkboards and made from plastic, wood, metal or banner signs. In addition, these A-frames and sidewalk displays are durable and lightweight, which make it easy to transport. Contact us today for your own customized A-frame chalkboard sign or sidewalk display. Display enhancers are a great addition to any point of purchase display. Metal Wire Displays powered by The MRL Group creates unique display enhancers for your brand or business. Display enhancers are decorative elements that further brand your business, as well as creating a complete retail display. Displays enhancers are commonly used at retail and liquor stores’ alongside POP displays. Display enhancers may include coolers, furniture, standees, case stacks, inflatables, as well as other decorative elements. Display enhancers help bring attention to your company and current promotion. Contact Metal Wire Displays powered by The MRL Group today for your next display enhancer project. Metal Wire Displays powered by The MRL Group produces superior furniture and umbrellas for many promotional purposes. Whether you need a custom umbrella imprinted with your logo for an outside event or a custom bar imprinted with your logo and company colors, Metal Wire Displays powered by The MRL Group is here to help. Our furniture has been used in events, bars, night clubs, concerts and festivals. The promotional umbrellas we produce are great for outdoor areas in restaurants, bars, or hotels. 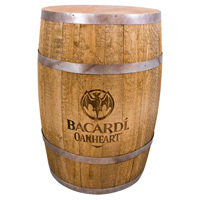 Our custom promotional furniture is great for tradeshows, bars, events, point of purchase displays, or tailgating. Popular furniture choices are chairs, tables, stand alone bars, bar carts and table tops. Metal Wire Displays powered by The MRL Group takes pride in helping our clients grow and achieve their business goals. Contact us today to speak with one of our talented team members about your promotional furniture and umbrella needs. Metal tacker signs are a durable and inexpensive means of communication between your company and your target audience. 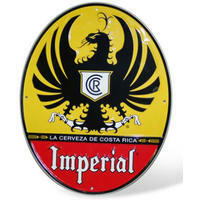 Made of aluminum, steel or stainless steel, metal tacker signs are lightweight and can be easily customized. Decorating techniques include embossing, die cutting, laser engraving, screen printing, litho printing or digital printing. Metal Wire Displays powered by The MRL Group is a leading manufacturer of metal tacker signs and will help turn your vision into a reality. Standees can be as simple as large self-standing posters or elaborate as a three-dimensional display with moving parts and lights. Metal Wire Displays powered by The MRL Group produces standees that are great for publicity events, promoting a product or an addition to a point of purchase display. Typically, standees are made of corrugated cardboard that is cut out into any shape or size desired. Common uses for standees include using a life-size cut-out of a celebrity sponsor of your brand, or using a standee as a product replica to promote a product launch. 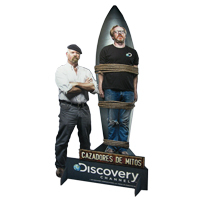 Standees gain attention, increase sales and brand visibility. Metal Wire Displays powered by The MRL Group creates standees to meet any business need and budget. Contact us today for a custom made standee from Metal Wire Displays powered by The MRL Group.